If you are considering lake homes for sale in Southwest Virginia, take a serious look at Smith Mountain Lake. Smith Mountain Lake is surrounded by Bedford, Pittsylvania, and Franklin Counties, and it is an easy drive from Lynchburg and Roanoke. Lake-goers are never far from the conveniences of the big city, but they enjoy the feeling of being miles away from big-city stress. There’s just something about being nestled in the stunning Blue Ridge Mountains that seems to put every ...Learn more here! Stunning turn key home on point lot! 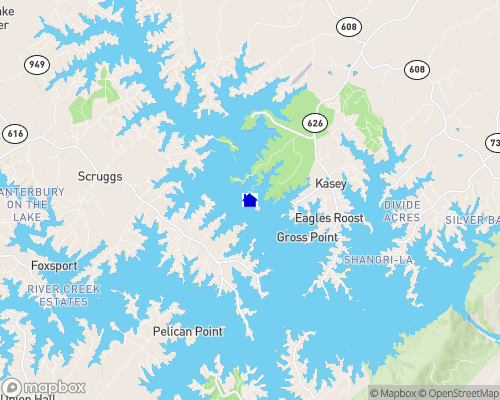 If you’re considering lake homes for sale in Southwest Virginia, take a serious look at Smith Mountain Lake. Smith Mountain Lake is surrounded by Bedford, Pittsylvania, and Franklin Counties, and it is an easy drive from Lynchburg and Roanoke. Lake-goers are never far from the conveniences of the big city, but they enjoy the feeling of being miles away from big-city stress. There’s just something about being nestled in the stunning Blue Ridge Mountains that seems to put everything into perspective. Smith Mountain Lake sprawls across 40 miles of pristine landscape, offering 500 miles of shoreline to explore and savor. Anglers flock to Smith Mountain Lake to try their luck at hunting down the lake’s healthy populations of largemouth, striped, and smallmouth bass. They also fish for catfish, crappie, walleye, and muskellunge. The lake has garnered a reputation for its premium fishing, and it is frequently televised for hosting the Blue Ridge Brawl Pro Tournament. The mild temperature of Smith Mountain Lake’s waters makes for great swimming from May through September. Sailing is another popular pastime on the lake, along with motor boating, parasailing, water skiing, jet skiing, and canoeing. Indulge the explorer within and map out the lake’s countless coves, or simply spend your afternoon counting the puffs of clouds that pass you by from the beach. Lake properties for sale have access to numerous private marinas situated around the lake, in addition to seven public boat launching areas. No matter if you choose to lose yourself in doing as little as possible or speed your way through the day by skipping across the lake on something fast, the most difficult decision you have is what to do first. Smith Mountain Lake strikes the unique balance of providing fun for kids and mature lake-goers alike. Leave your lake-view property and take the whole family to Hot Shots for a day of bumper boats, miniature golf, and arcade classics. And if you prefer your golf game served large, check out any of Smith Mountain Lake’s area courses. The Waterfront and The Water’s Edge are two private courses, while quality public links include Mariner’s Landing, Sycamore Ridge, and The Westlake. If you’re interested in Living on a Smith Mountain Lake golf course, visit GolfHomes.com for details. Smith Mountain Lake’s annual calendar is packed full of fun events: test your poker face in the Tom Maynard Memorial Poker Run for charity, in May. In September, please your palate at the Smith Mountain Lake Wine Festival. The list continues, so it’s never too tricky to fill your schedule with things to do on and around the water. Gorgeous, 40-mile long, 20,600 acre lake, with 500 miles of shoreline, nestled in the Blue Ridge Mountains of rural southwestern Virginia.